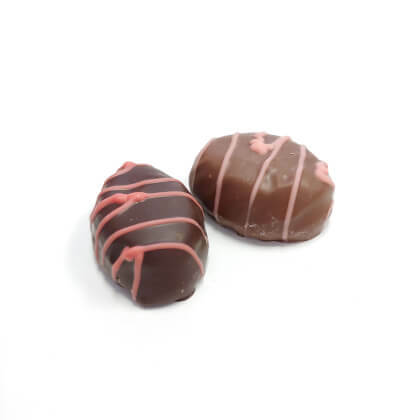 Gourmet raspberry cream covered in milk or dark chocolate. Pearls .5 lb box. If I could eat these without gaining weight, I would order every month. Taste exactly like candies I got as a child at an old fashioned candy shoppe that has since closed.